We are a community center based in Stratford, Connecticut. For more than 85 years, we have welcomed and served generations of children and adults. At the heart of our preschool, after school, summer day camp, athletics, food pantry, and other programs and services, is a spirit of welcome. 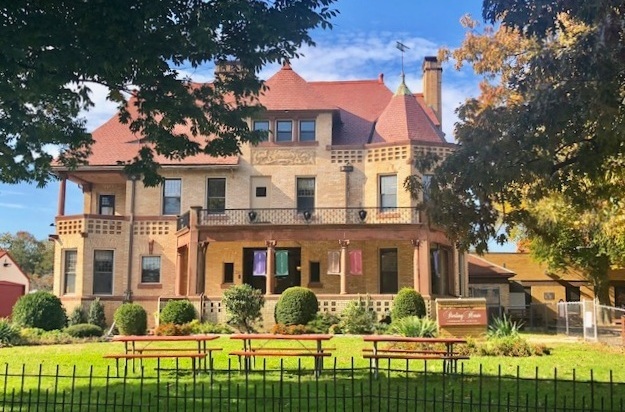 Dedicated by Cordelia Sterling as a community center in 1932, Sterling House has a proud history of serving the town of Stratford and our neighboring communities. Sterling House offers a food pantry, athletics, preschool, after school, summer camp, youth and adult programs, and much more. Register for Summer Camp Online!